The Anaheim Police Department of California — Home of Disneyland — admitted that they used special Cell Phone surveillance technology, known as DirtBox, mounted on aircraft to track millions of mobile users activities. More than 400 pages of new documents [PDF] published Wednesday revealed that Local Police and federal authorities are using, DRTBox, an advanced version of Dirtbox developed by Digital Receiver Technology (Boeing's Maryland-based subsidiary). 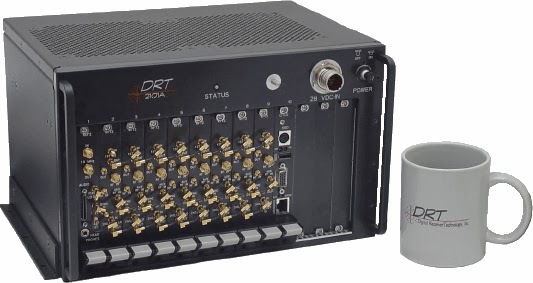 DRTBox is a military surveillance technology that has capabilities of both Stingray as well as Dirtbox, allowing the police to track, intercept thousands of cellphone calls and quietly eavesdrop on conversations, emails, and text messages. According to the report, DRTBox model is also capable of simultaneously breaking the encryption hundreds of cellphone communications at once, helping Anaheim Police Department track criminals while recording innocent citizens' information. "This cell phone spying program – which potentially affects the privacy of everyone from Orange County’s 3 million residents to the 16 million people who visit Disneyland every year – shows the dangers of allowing law enforcement to secretly acquire surveillance technology," said Matt Cagle, technology and civil liberties policy attorney for ACLU-NC. Besides Dirtbox, the police also purchased multiple Stingray devices, including one that can monitor LTE (Long Term Evolution) networks.